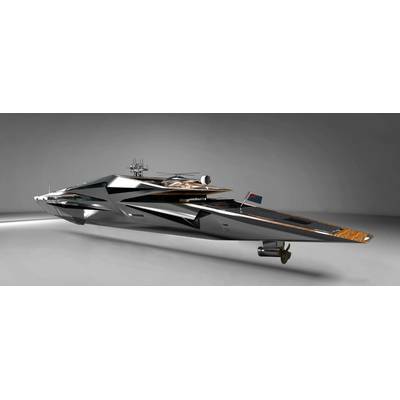 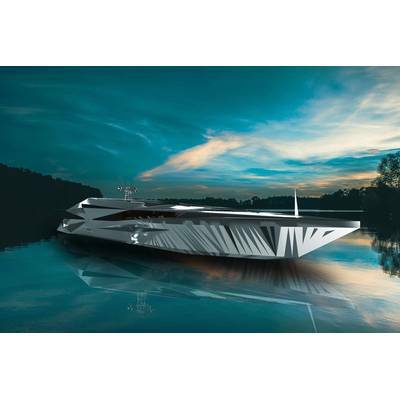 The MY Roswell is as stunning technically inside as it is outsite, designed to have full electric running capabilities, supported by two diesel electric engines and large electric panels that cover the numerous horizontal surfaces of the superstructure of the vessel. 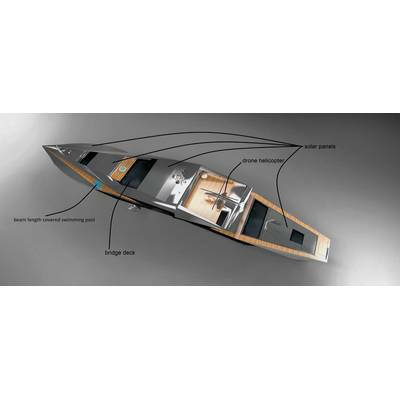 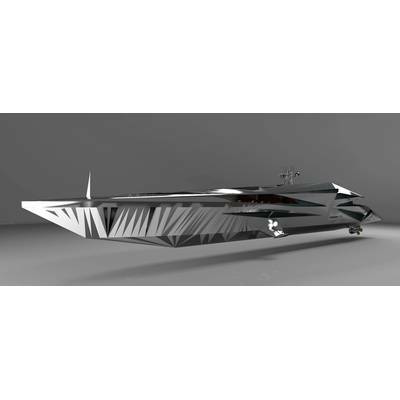 At first glance it appears to be a military stealtch craft, and together with the full electric capabilities, reflective hull surface, patterns, and sharp angles, make the yacht have a very discrete radar footprint, if any. 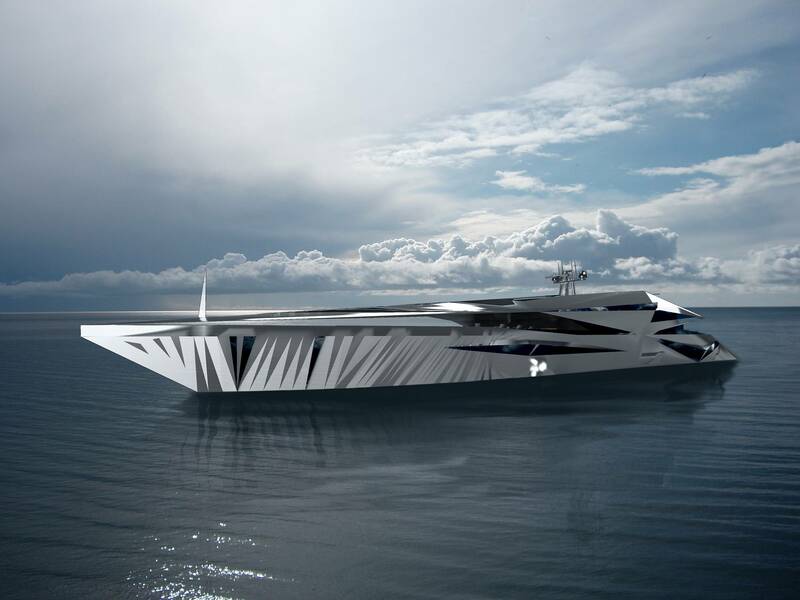 While its radar footprint will be minimal, it is fairly assured that its presence in harbor will be anything but discrete. 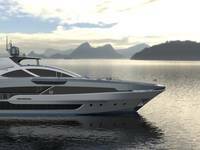 On the bow side of the main deck owners will find a large outdoor covered living area, including a beam length swimming pool, a lounge and a dining area. 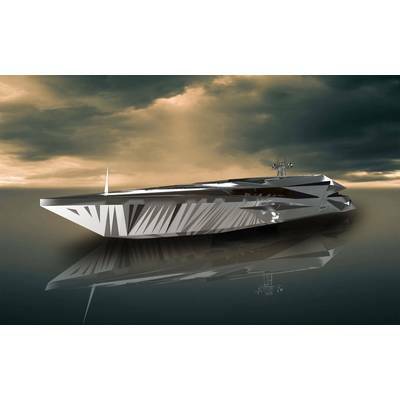 This shall be the main living area of the yacht, being connected to the main salon and the stern deck with large glass doors and walls, giving the sensation of a huge open loft like space. 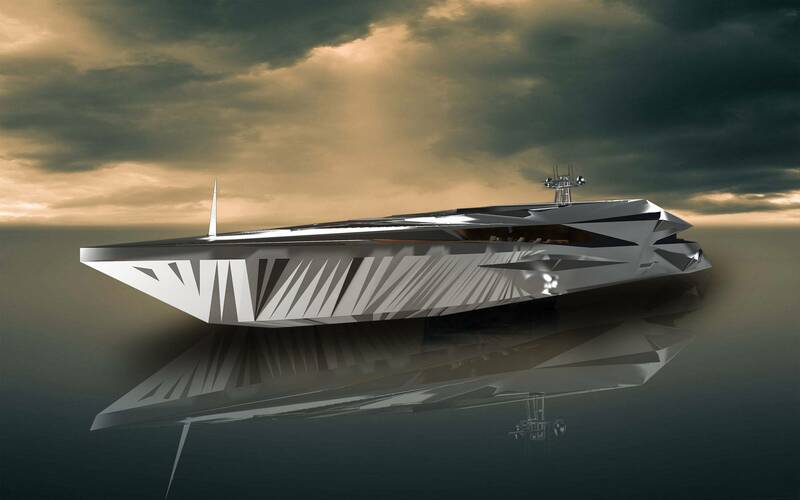 The bridge deck is located on the upper deck, together with a helicopter platform, and a sky lounge. 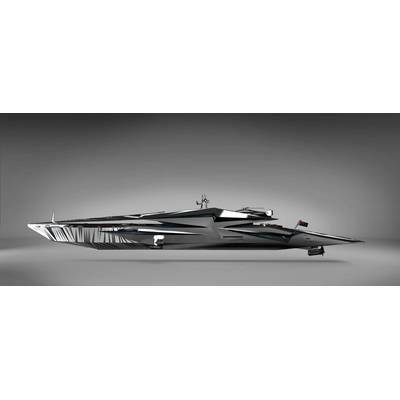 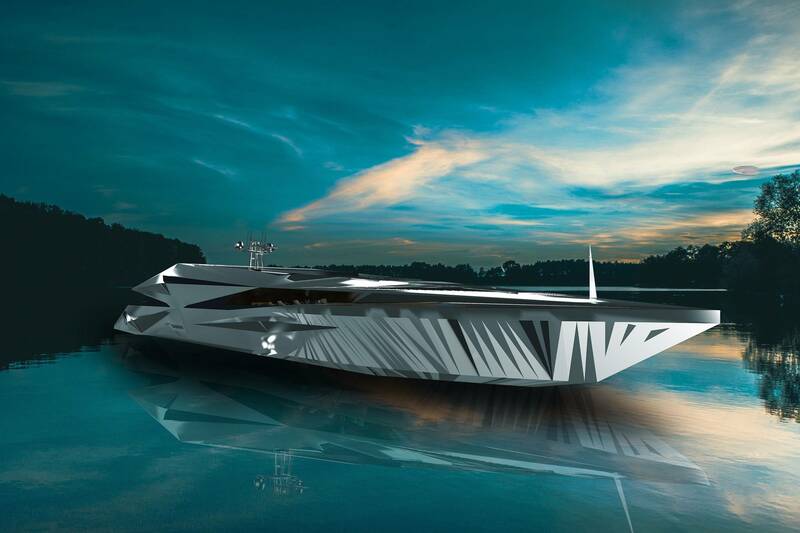 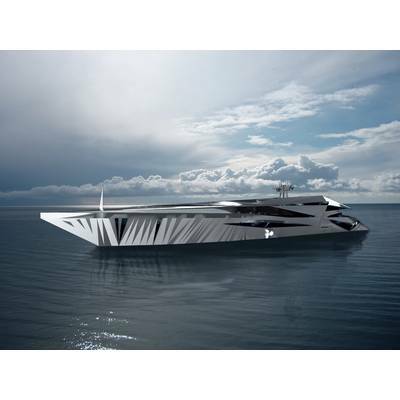 This is Monaco-based designer and artist George Lucian's latest yacht concept after last year's “Dare To Dream”, the airship carrier superyacht, and “Project Origami”, the mega sailing yacht inspired from the art of origami and traditional Asian vessels.